1. Paint a BOX large enough to hold your index cards (3-inch by 5-inch). 2. Draw pictures of food or cut pictures of food from old magazines or catalogs. Stick the pictures on the box with glue. 3. 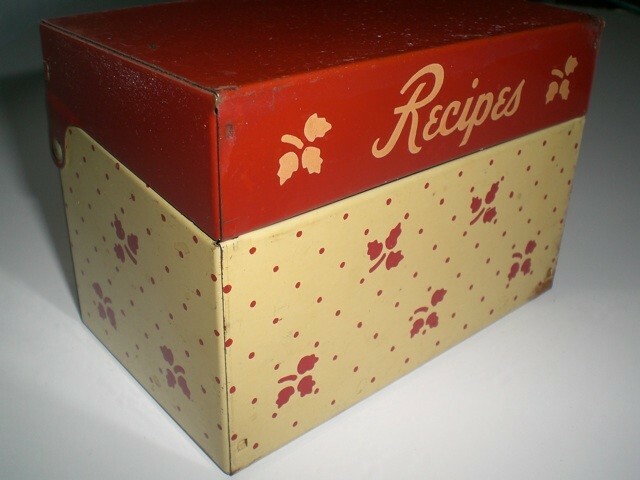 Cut out and glue on words or letters to label your recipe box. 4. Write your favorite recipes on the index cards and place them in the box. You can also make section dividers with tabs to separate recipes for differents types of foods or different meals. Now I can have a recipe-trading party with your friends. Everyone can bring a favorite snack and its recipe to share, then make recipe boxes and trade the recipes.